U.S. Health insurance firm UnitedHealthcare has opened up the option to acquire an Apple Watch Series 3 to its customers as part of its Motion program, with the Apple wearable device potentially free if daily fitness goals are met for a six-month period. Initially announced in March, the program will provide customers enrolling into the Motion program with the Apple Watch, in order to encourage daily movement. Under the scheme, the customers are provided the Apple Watch Series 3 on the basis that they can work off part of its cost every day. CNBC reports the program has also been opened up to companies, with employers able to opt in by enabling the Motion program. Once in, employees can request the Apple Watch for themselves, but will have to pay taxes and shipping for the device. For every day of a six-month period, users must complete three components of a "FIT" program, representing three different targets. For Frequency, the participant needs to complete 500 steps in seven minutes an hour apart at least six times a day, while the Intensity target requires 3,000 steps in 30 minutes once per day, and the Tenacity target asks for at least 10,000 steps per day. For completing their goals, the Apple Watch-receiving participants get up to $4 for each day towards the cost of the device, with the remaining balance required to be paid to the insurer. Those who earn more than the value of the Apple Watch can earn extra rewards on top via their health savings account, with the maximum amount available per person being $540. 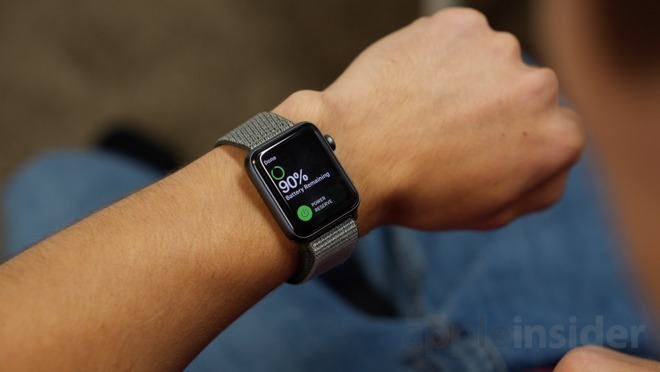 Those who already have an Apple Watch are able to take part in the program to earn the extra rewards, without needing to acquire the device from the insurer beforehand. For Apple, the offer will help increase sales of the Apple Watch even further. According to market research from November 2 covering the September quarter, Apple saw a 67-percent increase in smartwatch shipments year-over-year, shipping an estimated 4.5 million units in the period, with Apple holding the lion's share of the estimated 10 million total shipments of the entire smartwatch market. UnitedHealthcare is not the only insurer that Apple has partnered with for Apple Watch discounts, with Aetna and John Hancock offering the device to users in a bid to get their clients healthier, in turn reducing payouts for obesity, injuries, and other related ailments.